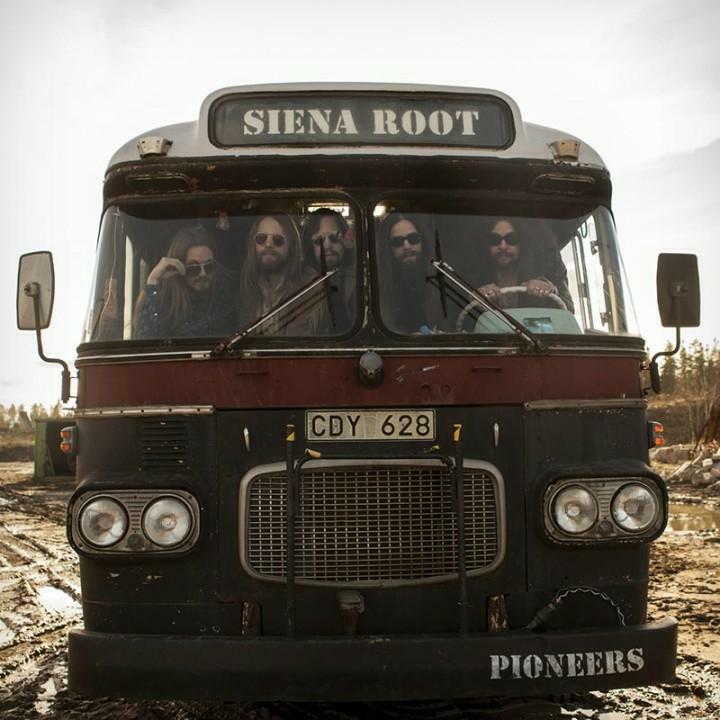 Swedish rockers Siena Root have been playing their brand of retro 70s Hard Rock/Prog-Psych for over a decade now, and for the first time have a label and distribution in the U.S. via Cleopatra Records. The cover is different from the European edition I see on the band’s web site, and a vinyl edition is available overseas as well. The music is heavily Deep Purple inspired organ and guitar led Hard Rock, complete with domineering Lord/Blackmore riffage. The band are tight as a knot and do more than ample justice to their influences-on-shirtsleeves style of 70s Rock. Several vocalists have passed through Siena Roots door over the years and Jonas “Joe Nash” Ahlen is a solid singer in the Ian Gillan league, though he doesn’t reach for the higher registers like Gillan. Highlights include 7 Years, with its boogie-woogie swagger and brief spacey interlude. I love the high intensity dueling guitar and organ on Spiral Trip. And Root Rock Pioneers could be the band’s anthem, singing of the spirit of the root rock pioneers. Keep on Climbing is a little different, having a stoned Bluesy quality and a cool spaced out doomy transition to a high octane Deep Purple gone Prog segment. In My Kitchen goes in a different direction too, and at nearly 10 minutes is by far the longest track of the set. It’s soulfully grooving, even a wee bit jazzy, with a drifting Bluesy spacey Psychedelic feel. It has vocals but this is largely an instrumental and a beautifully flowing one at that. I love the guitar solo that starts off sounding like Duane Allman at his most passionate and culminates in a minor freakout. Finally, we’ve got a cover of Led Zeppelin’s Whole Lotta Love, which I don’t see listed on the band’s web site so this may be exclusive to the U.S. edition. I didn’t like it at first, sounding too much like the distinctive Deep Purple trying to be the equally distinctive Led Zeppelin, but after a few listens it started to grow on me. File under “interesting”. In summary, if you like the music that is firmly in the In Rock/Machine Head mold with occasional spacey/psychy detours, then you are guaranteed to like this album. I’m crossing my fingers that the Cleopatra connection leads to a U.S. tour. The CD can be purchased from Amazon and the downloaded from iTunes.